Khalsa served up a perfect ten to progress to the second round of the JW Hunt Cup at the expense of Wrens Nest with four goals for Lee Chilton and a hat-trick for Jay Holdcroft. Ian Rowe’s side were ruthless and full of pressure from the first minute to the last, showing no mercy to their opponents who ply their trade two levels below Khalsa. 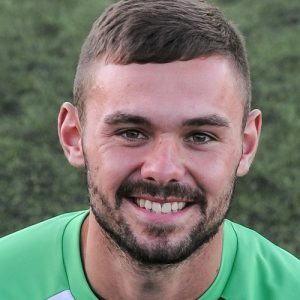 Aside from the result and scoreline, the return of Dale Reaney after injury sustained during his FA Vase heroics for his first start for Khalsa was a huge bonus. And but for his interventions early on – producing two good saves from Joe Finch at 0-0 – things might have been different. It took until the 18thminute for Khalsa to break the deadlock, Alex Melbourne getting his first of the season with a wicked cross that evaded everybody including keeper Callum Stokes to find the back of the net. Chilton doubled the lead from the spot four minutes later after being needlessly hacked down in the box and just seconds later Mensah Kinch almost made it three, winning the ball and surging into the box only to blaze narrowly wide. On 33 minutes the visitors pulled one back, Luke Williams capitalising on some very sloppy defending to finish past Reaney. But any thoughts of a Wrenna comeback were dispelled before the break, Holdcroft feeding first Chilton on 36 minutes and then Kinch on 42 to score and make it 4-1 at the break, although not before a another great save by Reaney at the other end to deny Williams. Holdcroft got the goal his performance deserved on 55 minutes and two minutes later Chilton made it 6-1, completing his hat-trick. Holdcroft grabbed his second on 71 minutes, rounding Stokes to slot home and two minutes later Alex Woodhouse clipped the crossbar from the edge of the area. There was a lull until the 82ndminute when Chilton snaffled his fourth of the game before Kinch was sent crashing in the box and Holdcroft stepped up to complete his treble from the spot. With two minutes left on the clock, Kinch tucked away his second from a Chilton cross to complete the scoring. Sporting Khalsa: Dale Reaney, Vidal Hendrickson, Alex Melbourne (Carlo Franco), Luke Adams, Leon Miles (captain), Alex Perry (Dave Meese), Liam Armstrong (John Mills), Alex Woodhouse, Jay Holdcroft, Mensah Kinch, Lee Chilton. Subs not used: Rico Taylor, Sam Arnold.